“I never could sit still for very long,” sings Americana artist Will Kimbrough on “I’m Not Running Away” (“I’m just running” completes the sentence), a track from his first album in five years. As anyone who reads liner notes knows, Kimbrough hasn’t been waiting for inspiration to strike. He’s been on a creative tear — producing, playing and writing for others like Shemekia Copeland, Hayes Carll and Mary Gauthier; performing with the band Daddy (with Tommy Womack) and Willie Sugarcapps (he’s the Willie part); and working with duet partner Brigitte DeMeyer. He even contributed an unaccompanied ukulele “Tenth Avenue Freeze Out” to the Born To UkeSpringsteen covers compilation. And that’s just scratching the surface. 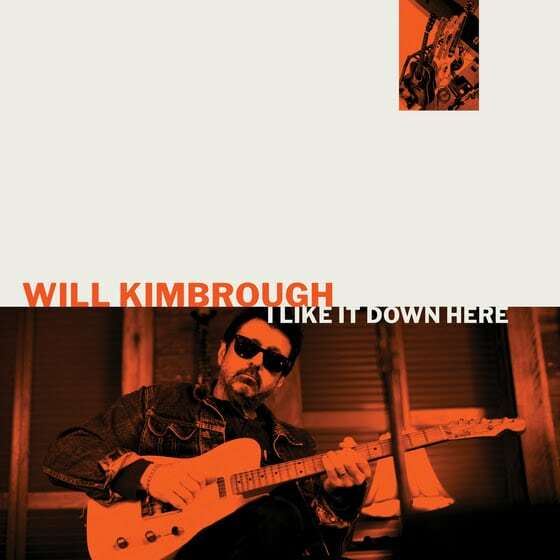 With I Like It Down Here, Kimbrough moves his solo career off the back-burner. The title refers to his affinity for the South and this music’s mix of bluesy, folk-rock, country and Americana, all of which exudes a slow-boil, swampy, red-clay vibe. Its darker edge is “Alabama,” a riveting song sung in the first-person voice of Michael Donald about his 1981 lynching in the titular state. Kimbrough has a smooth yet vibrant voice, perfect for this melodic and poignant music. Perhaps a few more rockers would have cranked up the fire, and at ten short cuts, more on the level of what’s here would have been welcome. But hey, Kimbrough has been busy. Hopefully, he can carve out more time to keep his own career going because his talents as a gifted singer-songwriter deserve to be in the spotlight.